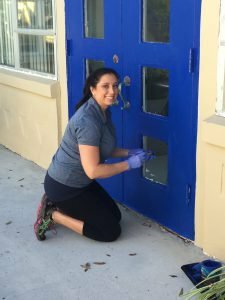 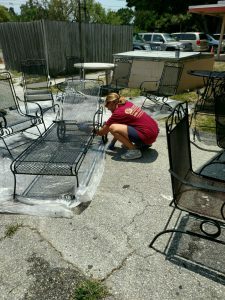 Easter Seals would like to extend a huge thank you to the staff of BB&T Insurance for all the hard work and time that they committed to helping beautify our courtyard. 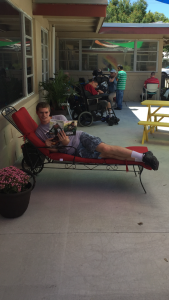 Thanks to all their efforts and for selecting Easter Seals as the beneficiary of their annual Light House Project our students can now bask in the Florida sunshine by relaxing on one of the brand new lounge chairs, or eat lunch at one of the wheelchair friendly picnic tables. 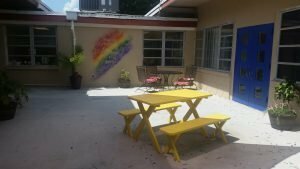 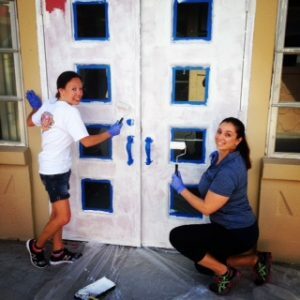 Plants, an inspirational mural of a rainbow and a refreshed paint job were also included in the makeover.